Jin Gui Yao Lue (Essentials from the Golden Chamber, 206). 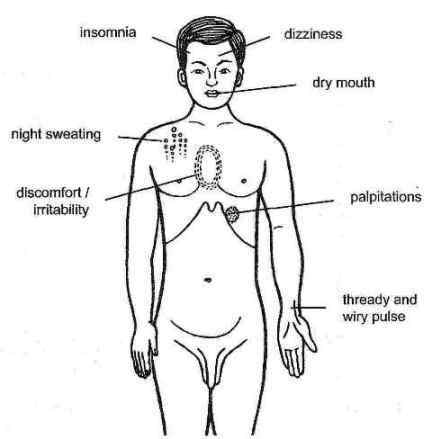 Traditional: Liver blood deficiency with internal disturbance of deficient heat marked by consumption, irritability, insomnia, easy upset, palpitation, night sweating, dizziness, dry mouth and throat, a red tongue, and a thready and wiry pulse. Modern: Insomnia, neurasthenia, premature heart beat, menopausal syndrome, and hyperemotivity.